Monday morning and, after a manic weekend, things had quietened down a lot. 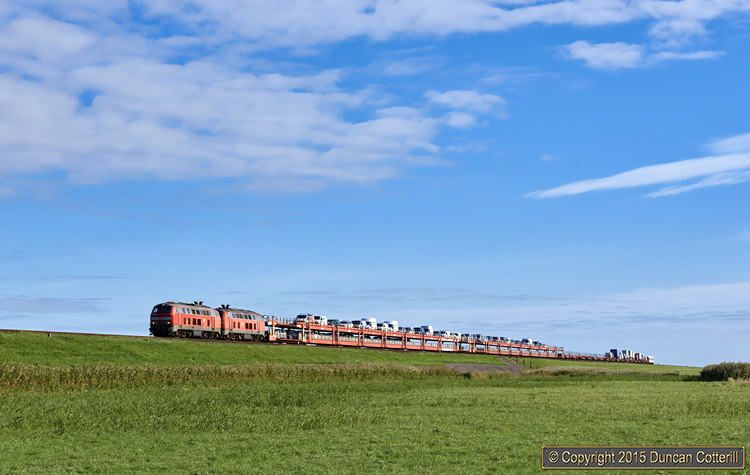 218.372 and 218.386 led a half empty SyltShuttle over the Hindenburgdamm en-route to Westerland on 28 September 2015. The train was AS-K1418, the 09:46 from Niebüll.